If you’re running a fitness business and targeting the local community, you need an effective local SEO strategy to draw in local traffic. 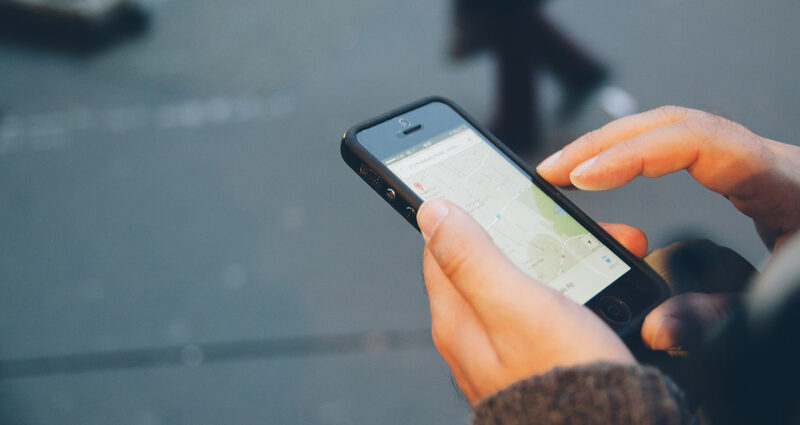 In this post, we’re highlighting 5 essential tactics you need to be using if you want your website to be found by nearby customers looking to take action right now. Whether you plan on bolstering SEO for personal training services, an actual venue, or any other business that depends on custom from people in the local area, these are the steps you need to be working on to see results. Typical SEO is all about targeting specific phrases that your potential customers are searching for, so that when they type these searches into Google, your website comes up as one of the first options. Local SEO on the other hand, is all about targeting local traffic. Let’s say you’re looking for a personal trainer, one of the first things you might Google is, “personal trainer in north London”. If you’re a personal trainer in north London, you’d want your website to come up as a high ranking option for this exact search. If your business is built on custom from the surrounding area, local SEO is the best way to get yourself placed right in front of people that are actively looking for you. As you can imagine, SEO for personal training is going to be pretty darn competitive, this is where expertise and creativity plays such a huge role in SEO strategy! Why’s local SEO so important? In 2015 Google searches with a location qualifier (searches including phrases like “near me”), doubled in volume. In 2017, 97% of consumers conducted at least one search online for local businesses, with as many as 12% searching for some form of local business online each and every day. More and more people are relying on the internet to find things they want right on their doorstep. Ignore your local SEO game and you’ll be missing out big time! Leading online business directories like Yelp, Merchant Circle, and Citysearch are good places to start. The information you add to these directories needs to be consistent and kept perfectly up to date. Once you’ve done the big hitters, you’ll also want to dig out respectable local directories too. Think about your local newspapers, your Chamber of Commerce, and also try searches like “[your location] directory” to find relevant citation sites and directories you can join. Google My Business (GMB) is essentially another directory, but it’s the biggest and most important one out there. It’s free to join and can land you some major exposure if you optimise your listing correctly. GMB shows listings in little packs of three right at the top of search results to people who are looking for local goods and services. Try Googling a service near you right now and you’re bound to come across some. There’s a verification process you’ll need to get through which won’t be a problem if you’re the actual business owner. Once that’s done, it’s all about optimising your GMB content for best results. You’ll want to fill in every section of the listing to make sure it’s 100% complete. The more information you provide, the easier it will be for Google to show you to the right people. If you’re trying to nail SEO for personal training services, you might not actually have a physical address. This is perfectly fine, you’ll just need to opt to hide your physical address which is definitely an option on GMB. When’s the last time you tried to buy something online and didn’t look at reviews? 84 percent of people trust online reviews as much as personal recommendations, and 70% of customers will leave a review for a business as soon as they’re asked to do so. Reviews are now a vital part of doing business online and you can’t afford to ignore them. The biggest review platforms out there include GMB as mentioned above, Trust Pilot, and Yotpo. You can also use tools like Hootsuite and Tiny Torch to monitor the web for chatter about your brand. Whenever someone mentions you in a review, you can swoop in and respond to show how much you care. Your Google My Business page is where you need to focus on getting your best reviews. Google has stated that great reviews have a great impact on “improving your business’s visibility”, which strongly suggests that reviews directly impact rankings. Local search and mobile search are very closely tied together. 90% of smartphone users look for local businesses using their phone. As so many people are looking for you using a mobile device, your site needs to make it blissfully easy for these users to find out what they need to know quickly as well as engage with you without breaking a sweat. Your contact information needs to be at the top of every landing page, all your pages need to be stripped back and made as mobile friendly and quick to load as possible. If your site is hard to navigate, or takes to long to pop up, your bounce rates will explode (the rate of people leaving your site as soon as they arrive). High bounce rates means damaged rankings, so it’s super important to address these issues as soon as possible! Local SEO is wildly competitive, especially if you’re operating in an urban area surrounded by rivals. There are two ways to get a grip on how your competitors are approaching their SEO – manually (an easy starting point), or by using tools to delve deeper into what they’re doing. First, build up a list of relevant keywords (search phrases) you’d like to rank high for. Search for each in Google to see whos ranking in the local pack (the GMB entries mentioned above). Record a list of the company names and website URLs in a spreadsheet that you can return to periodically. Take a look at each business carefully. What do they have in common? How are their websites layed out and where are they placing their keywords? What phrases are they targeting most? This process will help you identify gaps you can exploit as well as build an understanding of the strategies that your rivals are deploying successfully. Want to take things up a gear? Then you can consider using a competition analysis tool like SEMRush. It’s a paid program that’ll show you 10 leading competitors for a keyword of your choosing and it’ll detail how each is ranking via a report filled with a wealth of ranking data. That’s it! We hope this quick introduction to 5 crucial local SEO tactics has helped! Think we’ve missed anything? Feel free to get in touch or leave a comment below if you have any further questions! Next PostAutomated Emails - Nurture Leads While You Sleep!